The grand event begun with the Holy Communion Service in morning and that was followed by a grand rally with banner, festoons and drumbeat led by the representatives of the different deaneries. The representatives were also present from different deaneries in the rally. After the end of the rally the Moderator Rt. Rev P S Sarker and Rt. Rev. 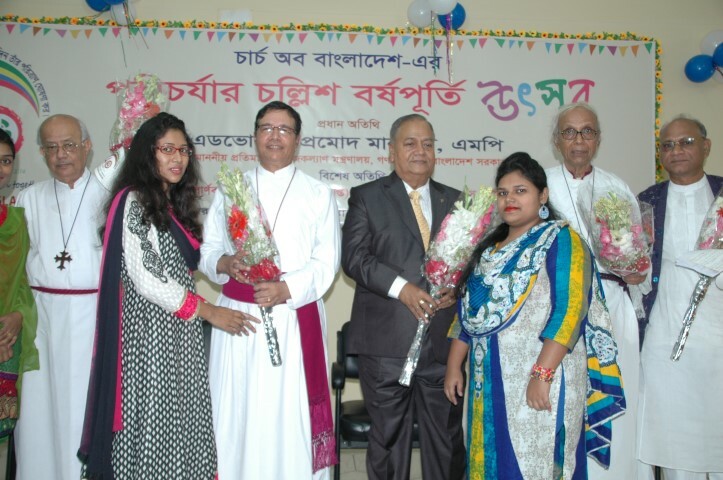 Samuel Sunil Mankhin inaugurated the 40 years ceremony by releasing pigeons, balloons, festoons jointly with the chief guest, special guest, Synod secretary Mr. Joseph Sudin Mondol and other guests. Mrs. Janet Sarker and Mrs. Monita Mankhin were also present at the ceremony and graced the occasion. Local priest with his team welcomed the guests singing a song and giving flowers to all. After that Bishop S S Mankhin, Kushtia, Synod secretary Mr. Joseph Sudin Mondol, Diocese Secretary Mr. John Provanjan Chowdhury delivered the welcome speeches stressing the importance of the event. Honorable Bishop Barnabas Dwijen Mondal, Bishop Michael S Baroi, Rev. Aniruddha Dipak Dash General Secretary of NCCB also delivered their valuable speeches highlighting the magnificent events over the past 40 years. The Chief Guest Advocate Promod Mankin, MP, Deputy Minister of Social Welfare Department deliverd an encouraging speech. He said, “He bears a strong relationship with Church of Bangladesh since last 40 years. 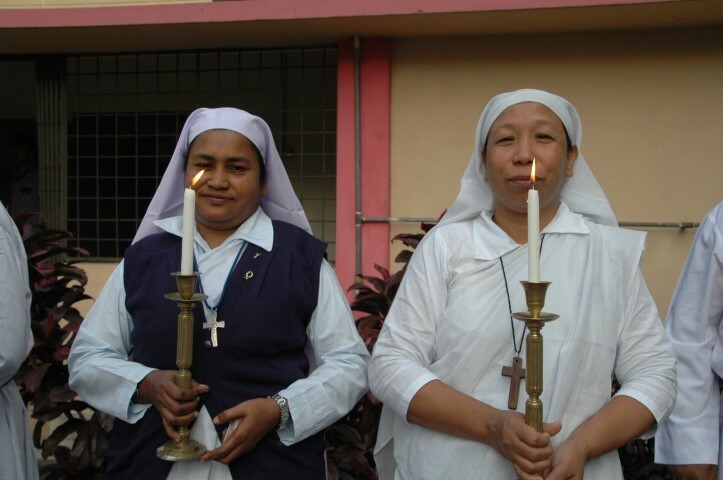 He remembered with deep feelings the Sisters and Saint Mary’s Sister Hood at St. Andrew’s Mission at Haluaghat and their contributions to the society; especially he recalled Sister Usha’s contribution in promoting education and social wellbeing. He also mentioned that, Church of Bangladesh is a small church but the activities in spiritual care and services to the humanity are noteworthy and different from others. 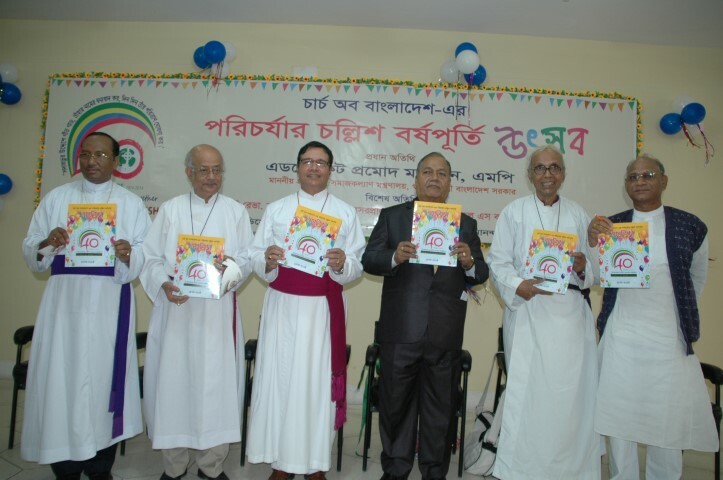 He hopes that Church of Bangladesh will prosper day by day and help the poor people in their struggles and challenges. Afterward, the Moderator provided crest to the chief guest Advocate Promod Mankhin, MP, special guest Rt. Rev. Barnabas Dwijen Mondol and Bishop Michael S Baroi commemorating the occasion and they were also given especial scarf as a symbol of honour. The other main attraction of the ceremony was cultural programme consisting of songs, dances and role play . The function was facilitated and conducted by Rev. Jonarson Dio and Ms. Christina Karabi Malakar.